The European Union’s Special Representative for the South Caucasus and the crisis in Georgia Herbert Salber has been visiting Armenia, with the main focus of his meetings with Armenian leaders being the recent escalation in Nagorno Karabakh. 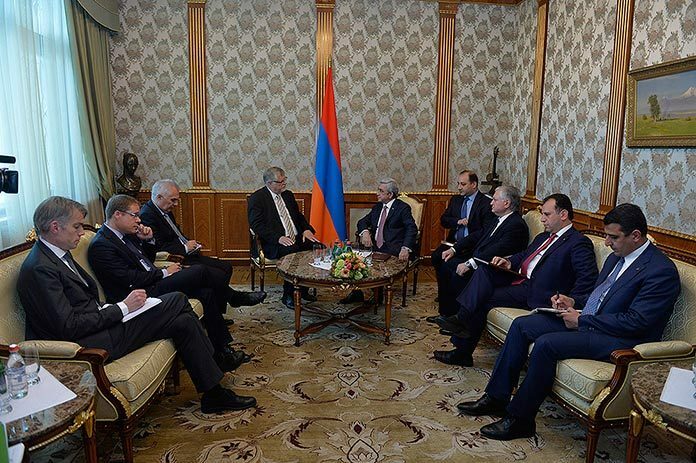 In Yerevan, Salber met with President Serzh Sargsyan, Foreign Minister Edward Nalbandian, Defense Minister Seyran Ohanyan, as well as Karabakh Foreign Minister Karen Mirzoyan. During the meetings Armenian officials urged the EU to investigate and punish those in Azerbaijan responsible for war crimes during the April war. Salber said that accusations were being made from both sides and that the EU needs mechanisms of investigation in order to make accurate estimations. The EU’s role in the Karabakh settlement has for years been limited to supporting the efforts of the OSCE Minsk Group and creating an atmosphere of trust in the region. The EU has allocated significant grants to civil society, trying to develop traditional and parliamentary diplomacy. However, there is an almost complete absence of contacts between Armenians and Azerbaijanis today, and whatever little trust there was disappeared completely after the April war. As for the steps that the EU intends to take in support of a Karabakh settlement, judging by the statements of Salber and Armenian officials, Brussels is expected to introduce some mechanisms of restraint, including equipment that will help in investigating border incidents. 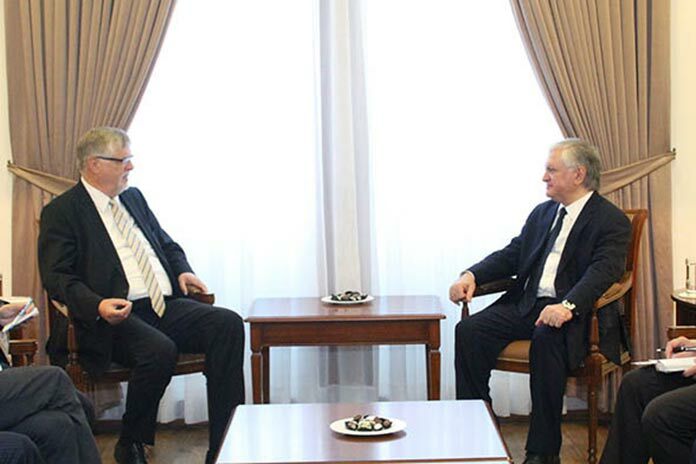 During his meeting with the EU representative, Armenian Foreign Minister Nalbandian noted that for the resumption of negotiations it is necessary to exclude the likelihood of the recurrence of Azerbaijan’s aggression, to provide confirmation and execution of the indefinite truce signed in 1994 and reaffirmed in 1995, as well as to introduce mechanisms to conduct investigations. Karabakh Foreign Minister Karen Mirzoyan reminded that the EU had stated about its readiness to take steps for strengthening the atmosphere of confidence between the parties to the conflict. “But we all understand that Azerbaijan has delivered a terrible blow to confidence. The efforts of the international community, first and foremost, should be aimed at neutralizing the non-constructive position of Azerbaijan. And only after that can we talk about steps in the direction of trust,” the top Karabakh diplomat said. All atrocities must be condemned and the perpetrators must be brought to justice, Salber told media after his meetings in Yerevan.